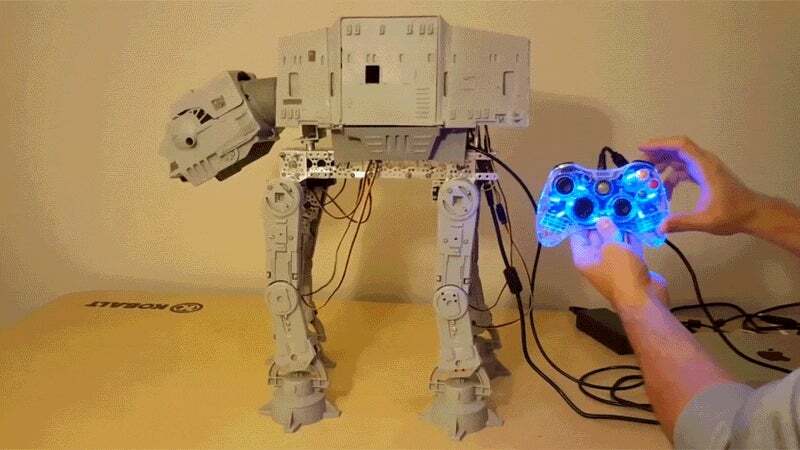 Video: With the help of an Xbox controller and micro-board, Star Wars enthusiast Dave Stein converted an old 1981 Kenner AT-AT Walker into something we all wanted as kids back in the day. Here's the old fella in action (via Prosthetic Knowledge). It not only walks as clumsily as in Episode V, but the head's movement is similar as well. Pretty cool! Even though it's probably still not powerful enough to annihilate hidden rebels. And here are some WIP shots and how exactly he did it.